Meal #3 Finally that chicken! Leave a Comment on Meal #3 Finally that chicken! ​My bff, Amber, is still down for count with debilitating back pain and unfortunately not a lot of relief in sight. So, I’m going solo tonight with a meal from the Betty Crocker Red Book. With 1500 recipes and only nine completed we could be at this for years! As promised I am finally getting to that Beer Can Chicken recipe and as a side dish I prepared Confetti Rice. I have to say seasoning and prepping the chicken was easier than I thought it would be. I had nightmares of my chicken tipping over on the grill spilling beer all over the patio and experiencing alcohol flare ups lol! But, it went together easily and stood at attention on the grill like that was it’s destiny hahaha! The seasoning rub consisted of paprika, onion powder, garlic powder, salt, and pepper. That’s it! Rub her down and get that can of beer ready! The recipe doesn’t recommend any certain kind of beer. 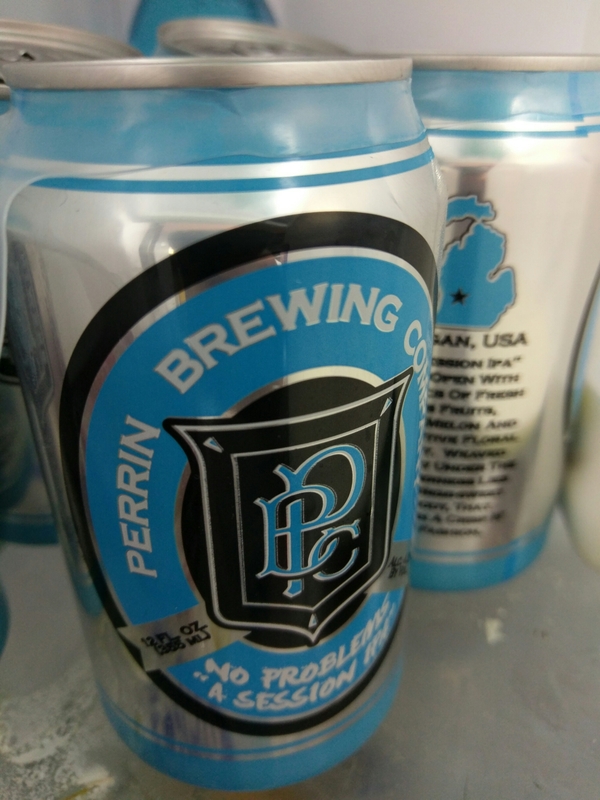 I chose a Michigan brewed IPA from the Perrin Brewing Company. It has a nice citrus undertone that I thought would be a great compliment to the chicken. 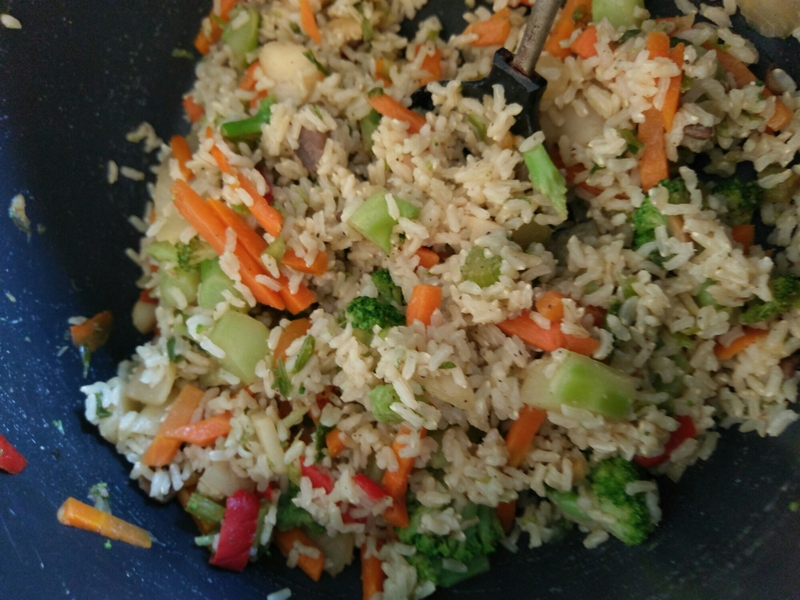 The Confetti Rice starts with rice, mushrooms, and green onions sauteed in butter. Then add water salt and pepper and let rice cook. Meanwhile using a frozen stir fry mix of broccoli, peppers, and carrots heated through and set aside until rice is cooked through. Once rice is cooked stir in the veggies! Everything shaped up nicely! I thought the rice could’ve used a little something…maybe some garlic?? 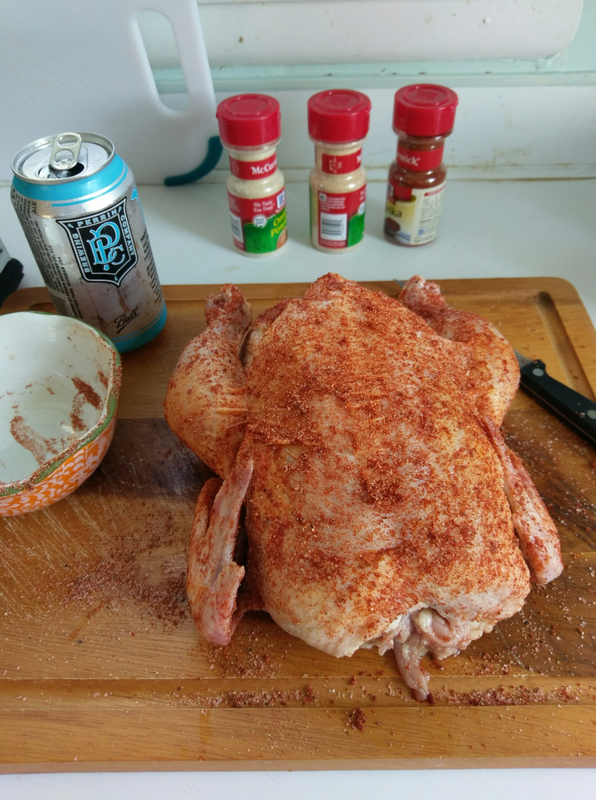 And it took a little finess to get the beer can dislodged for carving, but the chicken was tender, juicy, and very tasty! 11 recipes down! More to come soon. Happy Cooking everyone! Next Entry Happy Birthday! Betty White!